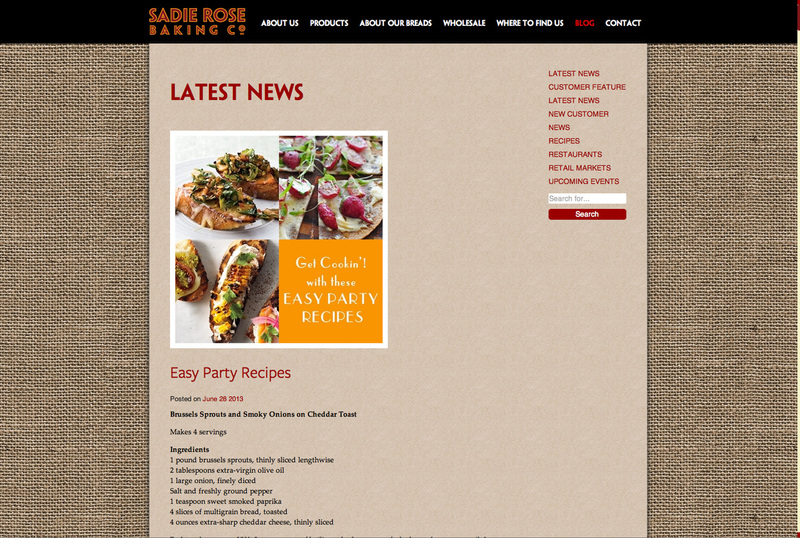 Home > Projects > Sadie Rose Baking Co.
We recently converted the site from it’s original flash code, to the modern HTML5/CSS/jQuery. 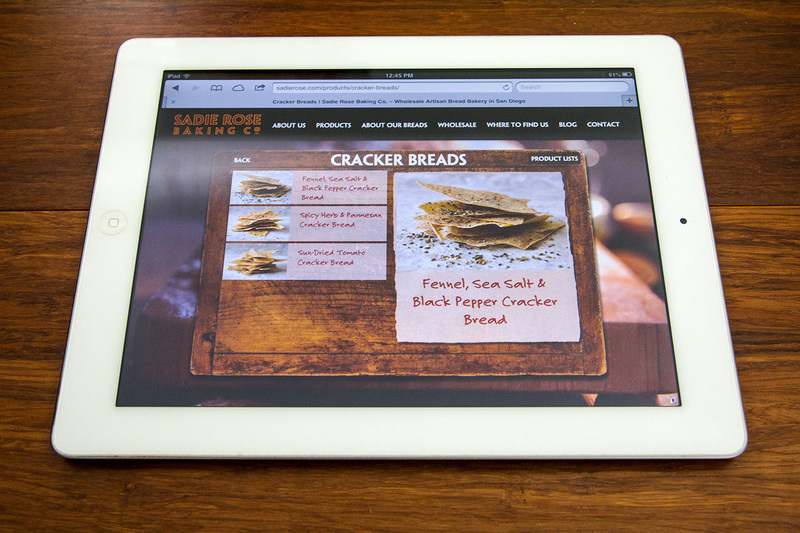 It is now fully responsive for mobile phones, tablets and the desktop. We’re proud that despite leaving flash behind, we didn’t have to sacrifice any of the charm that makes this site special. 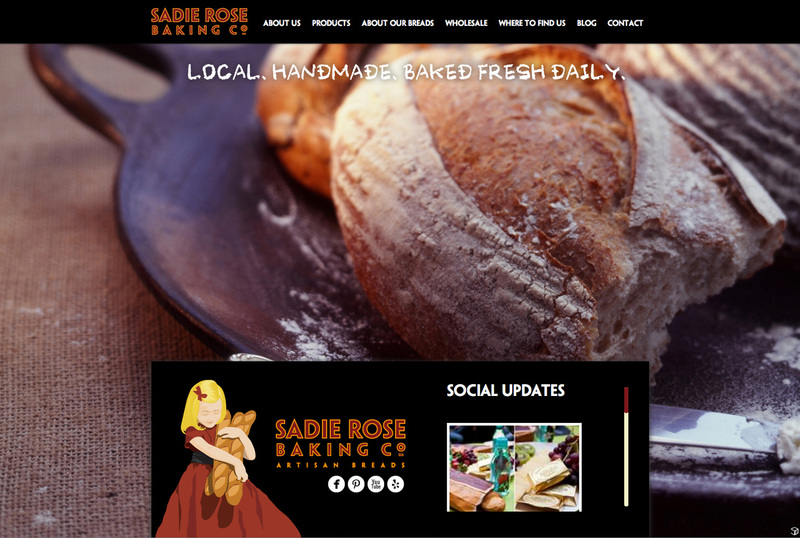 Sadie Rose Baking Co. makes amazingly tasty fresh baked breads for the Southern California region. We built the award winning web site that really captures the character of the company. The transitional touches like a bread board, and a baker’s peel that ‘scoops’ up the page content really bring it to life. 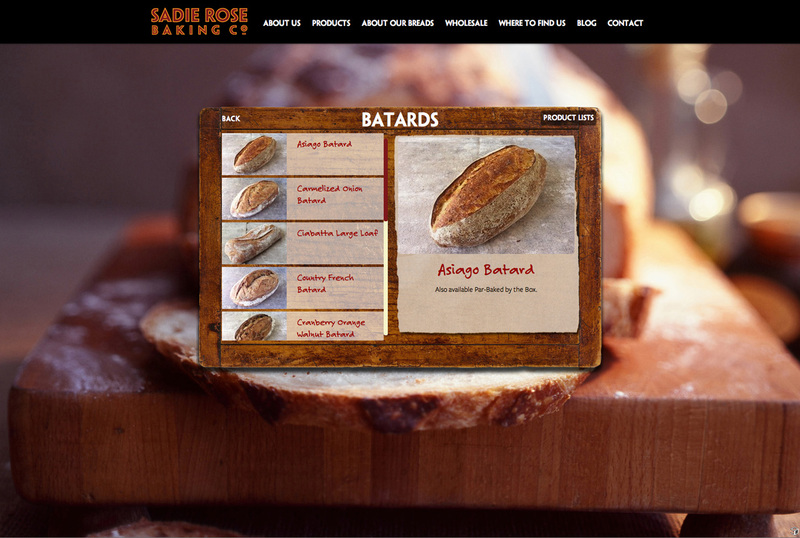 We built a custom product system that displays all of the current product line, complete with photos and descriptions. The client can then update this system by themselves as needed. At the end of the day, this well developed site, full of character, helped to increase sales, ease customer communication and promote the company brand. Additionally, we designed a company folder that I think is certainly worth mentioning. 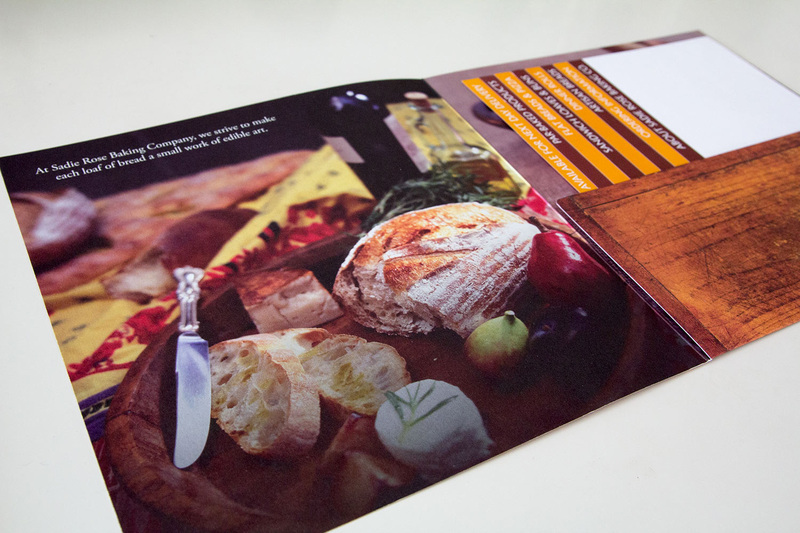 The folder itself was designed in full color, thoroughly connected with the brand that was developed in the web site. However, the inserts were printed only with titles. The rest of the info space was intentionally left blank. That way, the client can print the current info in-house as needed and they are not left with 1,000 outdated copies sitting in a corner. This is a good example of how we aim to design with efficiency and cost-effectiveness when it comes to print design.